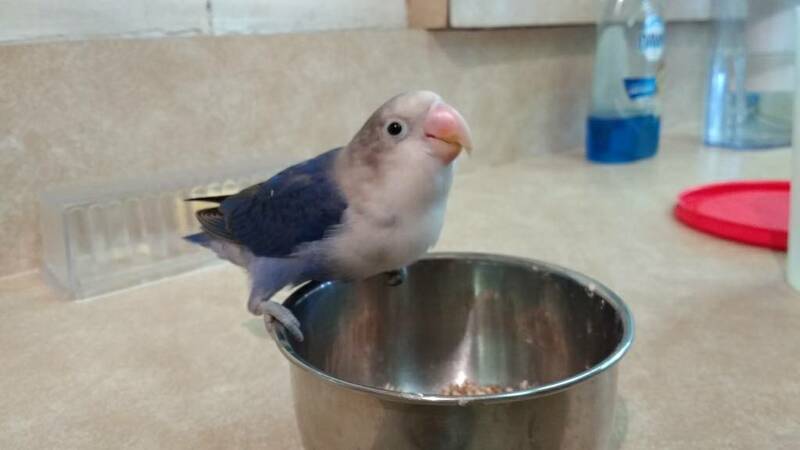 We are looking for a forever home for our sweet lovebird Boo Boo. We've had her since she was just a chick. She has grown up in a house with budgies and conures and is accustomed to hearing other birds chirping and having company. She is quite tame and likes to spend time out of her cage. We are moving and feel that rehoming her is the correct thing to do as our future housing situation is not certain and we'll most likely be moving often in the next couple of years. In December we clipped her flight feathers before we left on vacation out of an abundance of caution because we didn't want her to escape her bird sitter and somehow get outside. She was very upset by this and immediately began plucking her feathers. They are mostly all grown back, but as you can see, she is still pecking at her chest feathers. 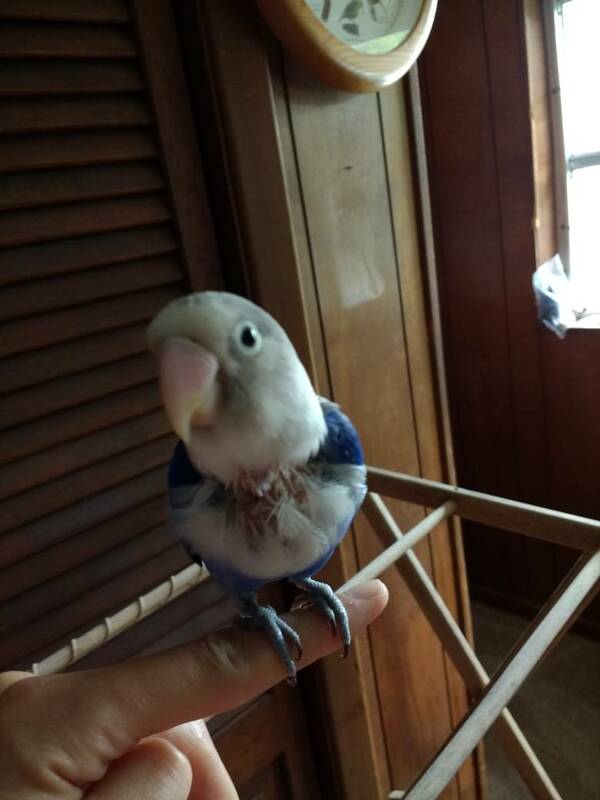 I would like to find her a home somewhere in South Florida, preferably with someone who has other birds, especially lovebirds and I don't think she'd be happy all alone. Please respond if interested and I can get in touch with details. I'm not sure why you'd be rehoming her but not your other budgies band Conures. I'm confused. She is beautiful though. I have already found a home for the budgies and potentially one for the conures. I also wanted to broaden my search because Boo Boo is my baby and I want to make sure I find a good fit for her. It breaks my heart to have to re-home her. I really don’t understand why moving “often” is a reason to rehome your birds. Parrots can adapt to the new surroundings/house; especially if his owners (flock) are there. She is beautiful, I hope you are able to find a wonderful home for her. It can be a move to a complex that doesn't allow birds. People get birds believing their life is suited for it and maybe it is at the time but sometimes things just change and sometimes you're forced to move and the only option being some place where birds or most animals aren't allowed. It happens sometimes and reasoning behind rehoming due to moving usually isn't as simple as "I want to live elsewhere" and as OP stated, their living situation isn't stable anymore and it is very stressful on a bird to be regularly changing homes. Last edited by Owlet; 04-30-2018 at 10:28 PM. Pretty bird. Good luck in finding a suitable bird. Did your baby find a new home, yet? I haven't found a home for her yet. She is still with me! I am quite picky about who I will trust to give her a good home and a good life and I still have some time before I move. So I'm still looking. She needs to go to a home with other birds. Even though she is by herself in her cage, she adores our conures and wants to be with them always (they do not reciprocate this love though!). 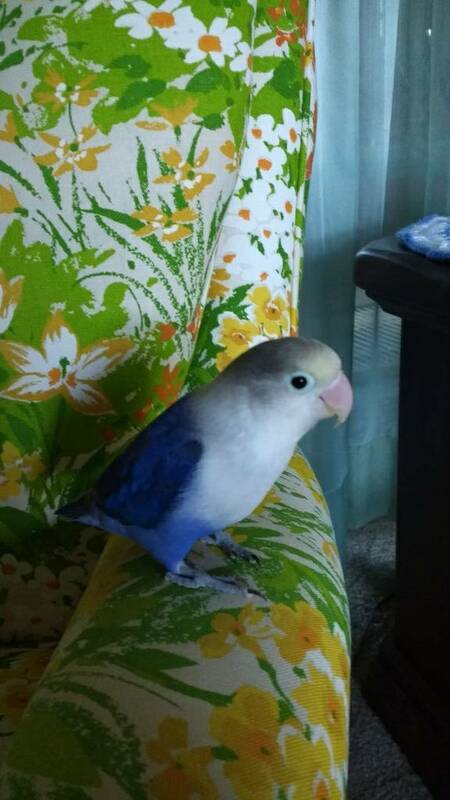 I want to find her a home with another Lovebird because I don't think she is happy alone. An Amazon Parrot and many Lovebirds.